A drug-loving couple visit a sinister local spot in this trippy tale of terror that's like a freakish mash-up of SPRING BREAKERS and THE BLAIR WITCH PROJECT. James is tired of the excessive drug use he and his friends engage in. But when he meets Sara, who wants to delve even deeper, they decide to visit a local spot called Toad Road that's supposed to be the entrance to the Seven Gates of Hell. 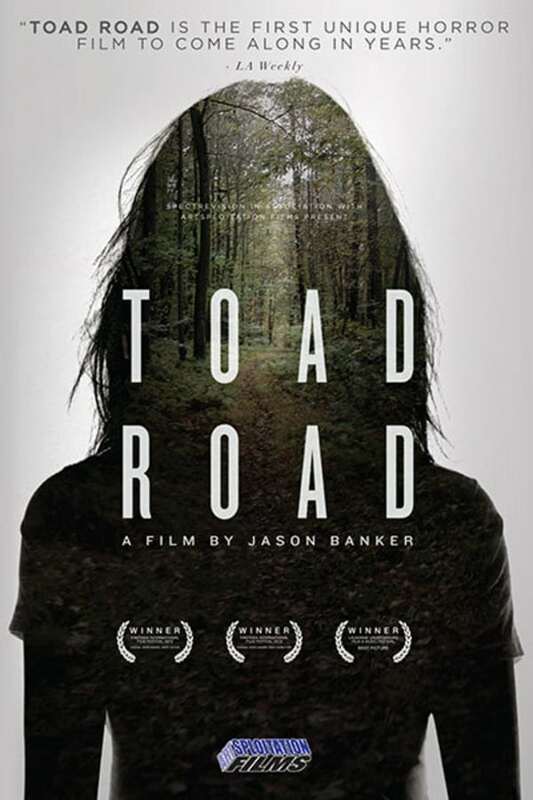 Writer-director Jason Banker's debut is a unique fusion of documentary-like realism and otherworldly, haunting rural terror - and unlike anything you've ever seen. Good movie. It is unsetling, which is defininitely horror as far as I'm concerned. not a horror movie but very well done. the improvisational acting makes it seem very realistic. It's a shame that the main actress would later go on to die of a drug overdose after this movie premiered. Remember kids, everything in moderation!